Lipitor Drug Common Uses: Lipitor is used to to lower cholesterol and triglyceride levels in your blood. Lipitor Common Uses: Lipitor (Atorvastatin) is an HMG-CoA reductase inhibitor (also known as a "statin") used to lower cholesterol and triglyceride levels in your blood. 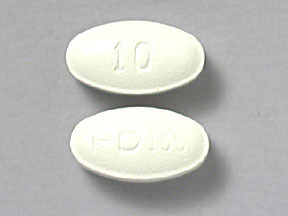 Lipitor (Atorvastatin) may also be used to treat other conditions as determined by your doctor. How to use Lipitor: Follow the directions for using Lipitor (Atorvastatin) provided by your doctor. This medicine may be taken on an empty stomach or with food. Try to take Lipitor (Atorvastatin) at the same time each day. Dosage is based on your medical condition, response to therapy, and use of certain interacting medicines. Consult your doctor or pharmacist for more details, since many of the medicines listed in the Before Using section may increase the chances of muscle injury when used with this medicine. AVOID EATING GRAPEFRUIT OR DRINKING GRAPEFRUIT JUICE while taking this medicine. STORE THIS MEDICINE at room temperature between 68 to 77 degrees F (20 to 25 degrees C) in a tightly-closed container, away from heat and light. IF YOU MISS A DOSE OF Lipitor (Atorvastatin), take it as soon as possible. If it is almost time for your next dose, skip the missed dose of Lipitor (Atorvastatin) and go back to your regular dosing schedule. Do NOT take 2 doses of Lipitor (Atorvastatin) at once.